The Spalding NBA Highlight Composite portable basketball system has been made from weatherproof and stainless materials making it durable enough to withstand both indoor and outdoor environments. The board is made from eco-composite material and has been fitted with a solid steel rim with a white all-weather net. The system incorporates a round three-part pole system and offers telescopic height adjustment in six 15cm (5.9") intervals. The mobile base can be filled with either sand or water to ensure maximum stability and safety during play. 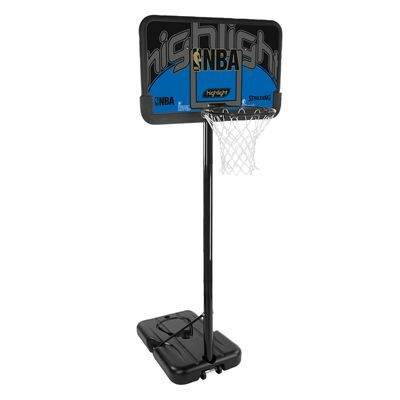 for submitting product review about Spalding NBA Highlight Composite Portable Basketball System.